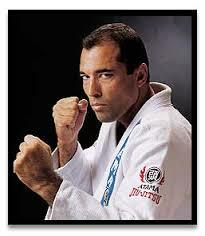 The greatest martial artist of all time, Royce was the first ever UFC Champion. By strategically beating martial arts experts twice his size Royce revolutionized martial arts for the better and forever with his Gracie Jiu-Jitsu technique. His calm demeanor and joyous attitude to life is enchanting and tangible, even when Royce schooled me hand-to-hand, step-by-step on the intricacies some of his greatest fights. Royce’s exercise and nutrition programs are without peer and I will explore and relay the benefits to you in future blogs.